This is an expensive year special needs equipment-wise. In January, we bought the minivan with the accessible seat. We are now getting quotes to install the stair lift in the house. 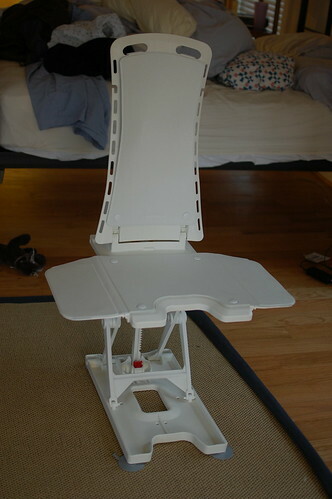 We are also ordering a new chair so that Edda can eat comfortably at the table as well as a new toilet seat. Just the other day, we got a bath chair so that I won't have the fear of death (and the fear of throwing out my back) every time I lift Edda in and out of the bath. 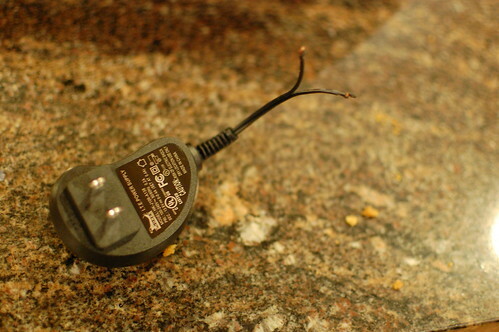 Less than 48 hours after it was delivered, Maxi (the evil dog) chewed the power cord. That dog is a piece of work. This is what we are waiting for approval on for Caitlyn!! And also a new toilet seat. We are getting the BlueWave toilet system. waiting patiently for insurance approval!